Some of Japan’s famed cherry blossoms, also known as sakura, have bloomed unexpectedly this autumn. The famous pink and white flowers are typically visible for about two weeks in the spring – a phenomenon tourists from around the world come to witness. But more than 300 people have reported cherry blossoms in their neighbourhood in October, according to meteorological company Weathernews. Experts say a series of typhoons could have contributed to the phenomenon. “This has happened in the past, but I don’t remember seeing something of this scale,” Hiroyuki Wada, a tree doctor at the Flower Association of Japan told local outlet NHK. 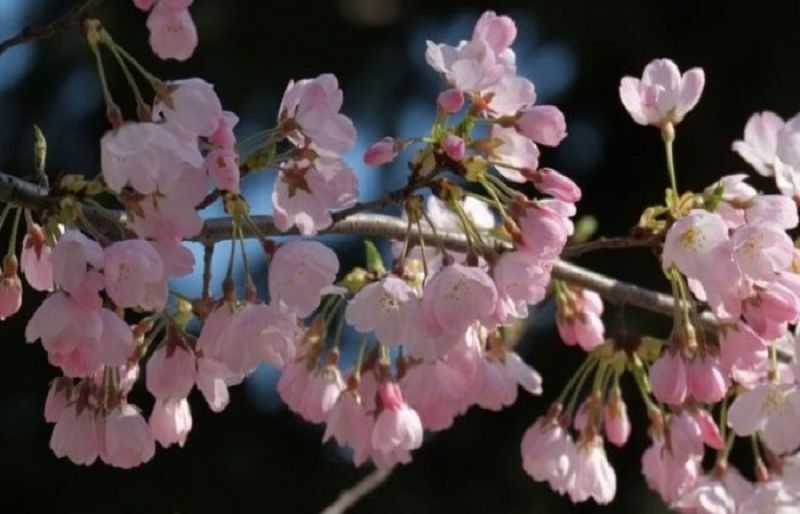 Mr Wada said that the cherry trees’ leaves usually release a hormone that stops the floral buds from growing. But this year, strong typhoons resulted in trees losing their leaves – which could possibly explain the surprise appearance. He also added that warmer temperatures following the storms could have confused the plants into flowering. The buds that have now bloomed will not bloom again next year. However, Mr Wada added that this would have a “minimal” impact on next year’s sakura season. Japan was this year hit by a series of typhoons, including Typhoon Jebi – the strongest storm to hit Japan in a quarter of a century. Typhoon Jebi killed at least 10 people and caused widespread destruction.